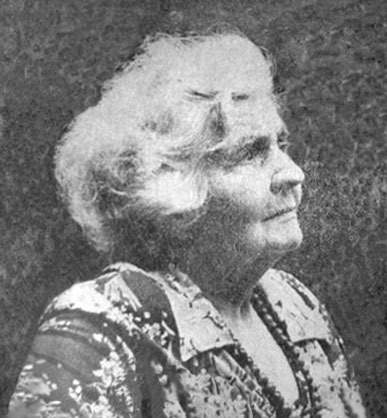 Margery Amy Stocking was born September 20, 1888 in East Orange, New Jersey. Her father, Alpheus C. Stocking, was born 1858 in New York. Her mother, Amy Melville, was born in 1865 in New York. Her parents married in Brooklyn on October 7, 1886. She was the first born of their four children. Her younger brother Harvey was born 1891, Gwendolyn in 1895, and Willard in 1902. They lived at 4397 North Grove Street in East Orange, NJ. She first demonstrated her artistic talent at the age of seven when she astonished her parents by drawing life-like portraits of family members. Her father was a journalist, who wrote for newspapers in New Jersey, Staten Island, and New York City. The fluid nature of journalism required frequent relocations of the family in pursuit of steady employment. In 1916 the family settled in Brooklyn and lived at 217 Quincy Street. She studied at the Chase School of Art and the Art Students League of New York, where she studied with Frank Vincent Dumond (1865-1951). 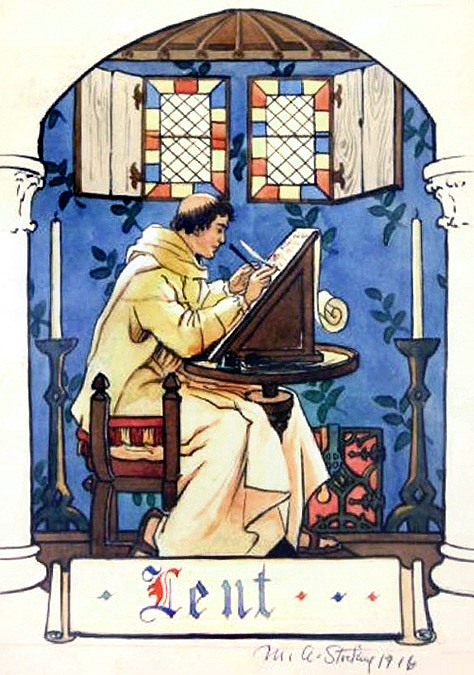 He was an influential teacher of many artists, such as Delos Palmer, Edgar Franklin Wittmack and Herbert F. Dunton. Dumond was also the Director of the Old Lime School of Art in Connecticut, where Margery Stocking studied art in the summertime. Lyme Connecticut was a bohemian artist colony that included George Avison, Delos Palmer, and Remington Schuyler. 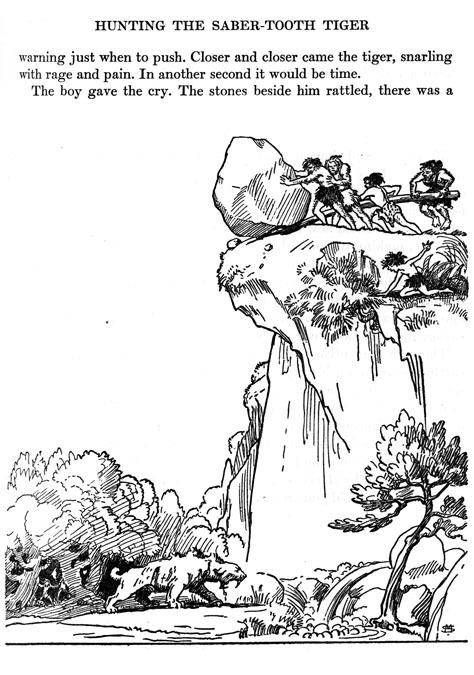 In 1912 her illustrations were published in Harper's Magazine. Two years later in 1914 she was writing and illustrating her own feature column in syndicated newspapers, including The Journal American. The unique opportunity for a woman to work as a newspaper artist was partly attributable to her father's professional connections. 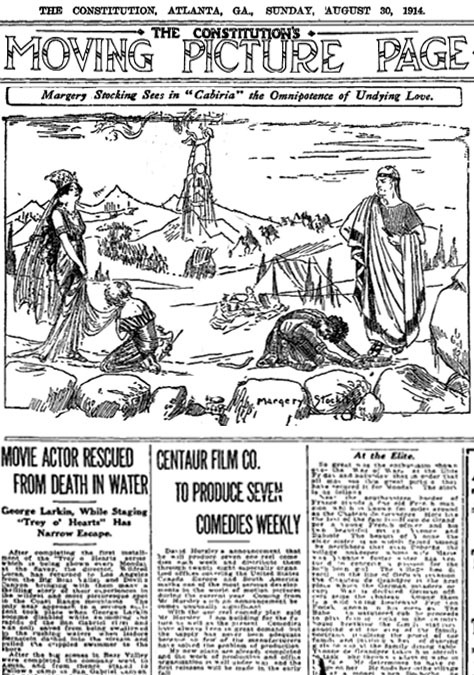 In 1916 D. W. Griffith's controversial movie, The Birth of a Nation, ran advertisements in nationwide newspapers that featured an endorsement by Margery Stocking of The New York American. In 1922 she became the first woman to receive the Beaux Arts Medal from the Yale School of Architecture. On October 7, 1926 her mother, Amy Melville Stocking, died in Brooklyn at the age of sixty-one. On March 3, 1927 at the age of thirty-eight she married Albert Jonathan Hart. He was ten years younger than her. He was born 1899 in England and immigrated to America in 1913. He was an archeologist, photographer, Ships Mate for a steamship company, and a veteran of WWI. They moved into her family home at 217 Quincy Street in Brooklyn. They had no children. She illustrated books, such as The Animals Own Story Book by Ellen Babbit for Century Co.(1930), Here They Are - Amos 'n' Andy by C. Correll for Long & Smith Inc.(1931), and The Story of Earth and Sky by H. Washburn, for Century Co.(1933). 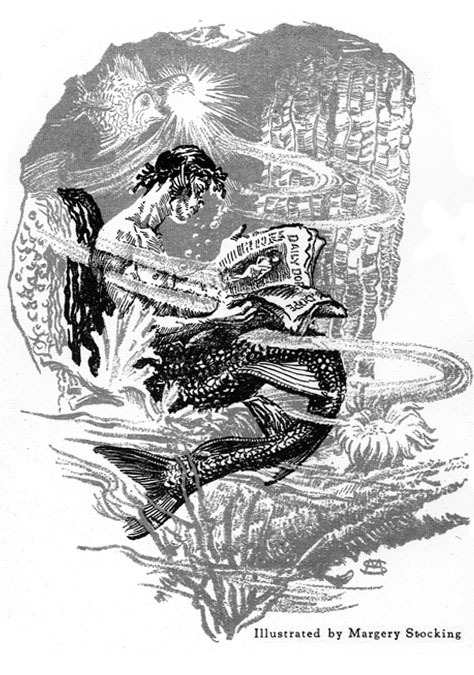 In 1931 she began to draw pen and ink story illustrations for the pulp magazine Blue Book. 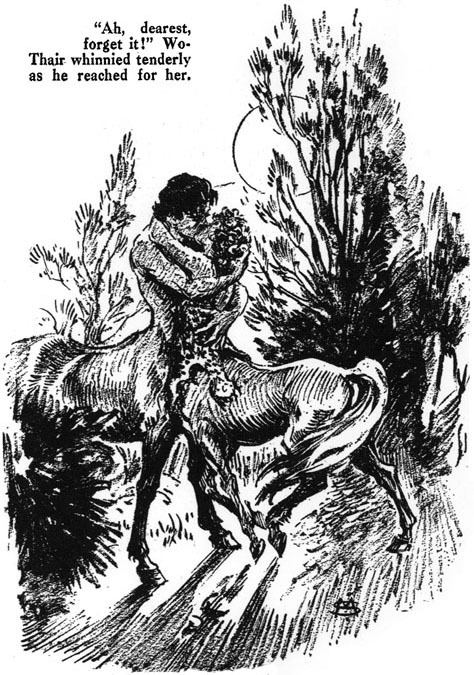 Her drawings continued to appear regularly in Blue Book for fourteen years. On May 13, 1932 he father died at the age of seventy-four. He had never retired from newspapers and at the time of his death was the editor at The New York American. 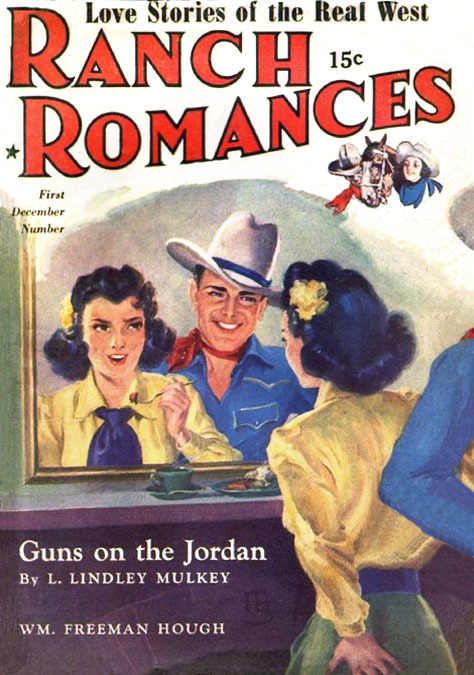 In 1942 during WWII when most of the top artists were drafted, she became a cover artist for Ranch Romances, one of the best selling magazines in the pulp fiction industry. 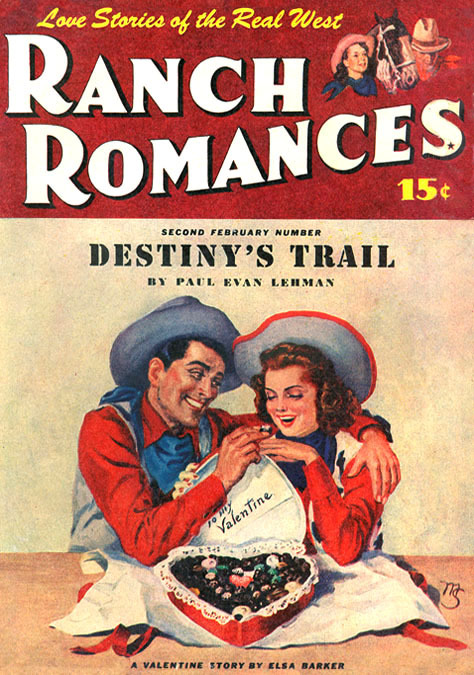 By the end of the war she had painted forty-five covers for Ranch Romances. 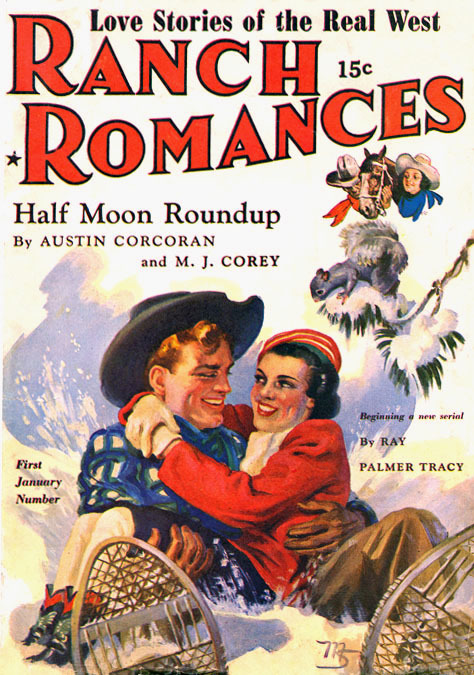 Several women drew pen-and-ink story illustrations for pulp magazines, such as Dorothy Flack, Constance Bailey, and Xena Wright, but Margery Stocking is one of only four women who painted pulp magazine covers. The other three are Margaret Brundage, Zoe Mozert, and Gloria Stoll. 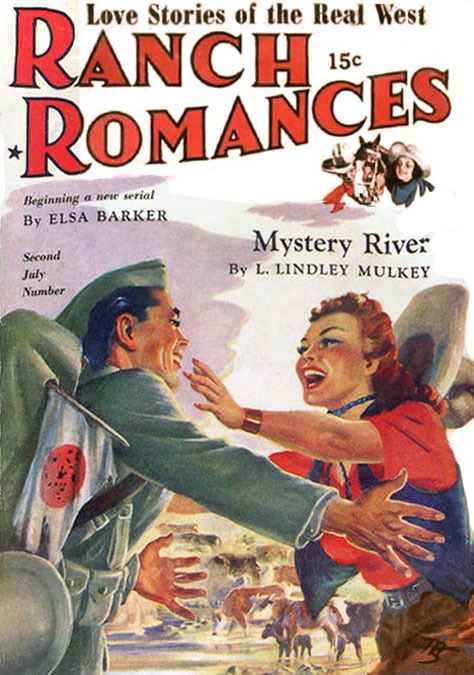 The patriotic ethic of the times permitted women to fill once-restricted jobs that been been vacated by servicemen, but after the war "Rosie the Riverter" was expected to relinquish her job in deference to the employment needs of returning servicemen, who had risked their lives to defend the country. 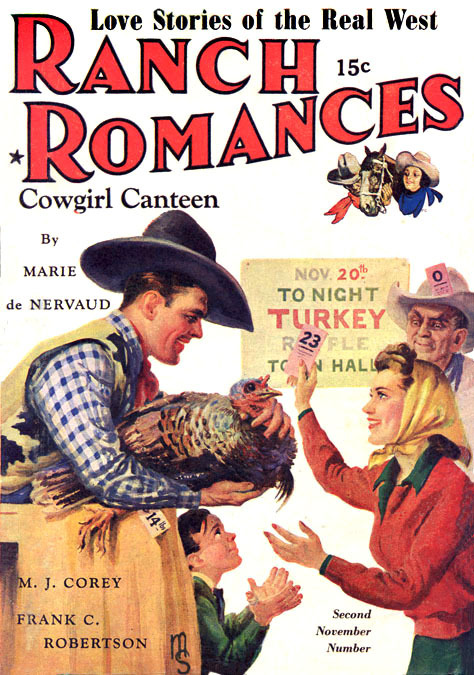 So in 1946 Margery Stocking retired from painting covers for Ranch Romances. 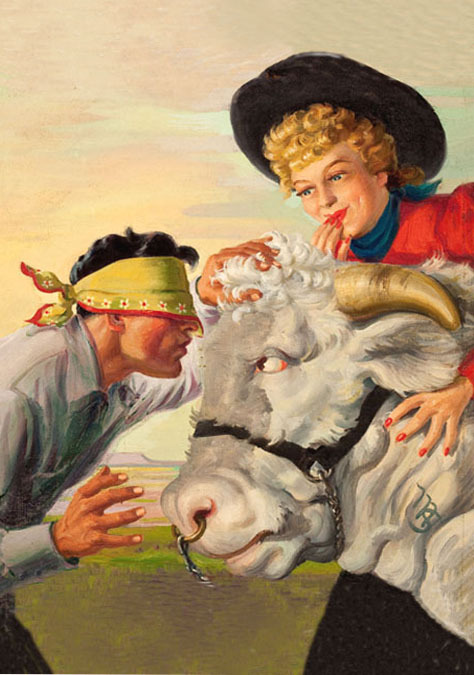 At the age of fifty-eight she decided to also retire from commercial illustration altogether. In 1946 she moved to California to teach still life painting at the Fred Maxwell School of Art, located in the Fairmont Hotel at 821-25 Powell Street in San Francisco. 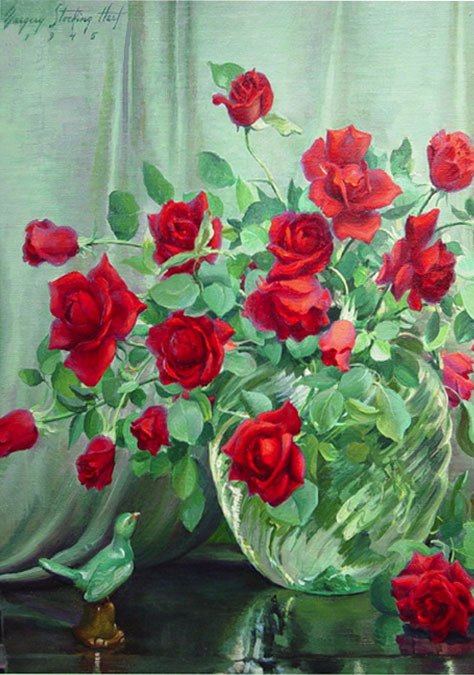 In 1948 at the age of sixty, she moved to Greenwich, Connecticut, where she continued to paint still-lifes and animal subjects for art galleries. She was also an active member of several local women's clubs. In December of 1979 the Bruce Museum of Greenwich, Connecticut, organized a retrospective exhibition of her work. 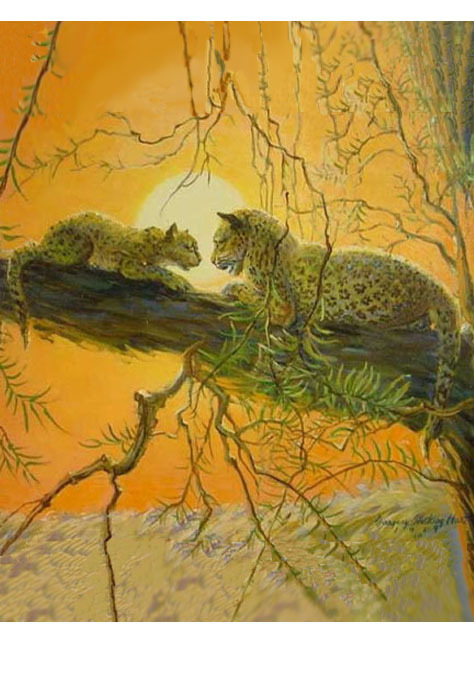 While being interviewed at the show the artist told reporters, "These are my children!" When asked what her remaining ambition was, she said, "to live to be 100 and to have another one-man show." In 1980 she became a resident of the Greenwich Woods Health Care Center, in Greenwich, CT, where she had her last one-person exhibition in 1986. That same year her husband died. Margery Stocking Hart died in Greenwich, CT, on September 15, 1993, five days before her 105th birthday.